Frank is a lifetime advocate for recycling and carbon footprint reduction who brings 30 years of industry experience to Trust Energy Solutions. He received his B.S. in Electrical Engineering from University of Maine in Orono and his MBA from Babson College. Frank's laser focus on customer needs has made him known for his customer support, and enables him to engage in long-term, mutually beneficial relationships. His experience in tech design and support give him the ability to communicate complex technical ideas in simple-to-understand language. 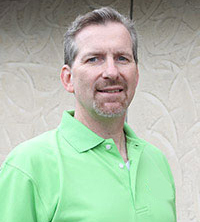 A passionate environmentalist and dedicated to community service, Frank serves as a ten-year Board of Directors member and coach for youth sports, as well as a member of the Masons. With deep roots in the local Massachusetts business community, he believes that businesses now have a huge opportunity to conserve energy and save money at the same time. © 2019 Trust Energy Solutions. All rights reserved..